A brand-new activity book in the best-selling Princess Poppy series! Colouring fun with Princess Poppy and friends! Join Princess Poppy on a trip to the City to buy new ballet things, help her make her costume for dressing-up day even more fabulous and pick out the perfect outfit for a day at the beach. 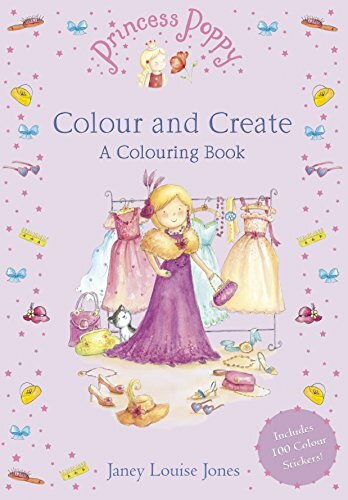 You can even design some new hairstyles for Poppy and her best friend, Honey, and much, much more in this brilliant and beautiful colouring book. A coloring and activity book which features 100 stickers.